A health DNA kit that in 2013 received a scathing FDA warning letter has now been approved by the US regulator. The FDA has given the green light to 23andMe's at-home Bloom Syndrome carrier test to determine whether a healthy person has a variant in a gene that could lead to their offspring inheriting the serious disorder, such as cancer or Parkinson's. Alberto Gutierrez, director of the office of in vitro diagnostics and radiological health at the FDA, said: “The FDA believes that in many circumstances it is not necessary for consumers to go through a licensed practitioner to have direct access to their personal genetic information. “[This] authorisation and accompanying classification, along with FDA's intent to exempt these devices from FDA premarket review, supports innovation and will ultimately benefit consumers. Of the personal genome testing companies - of which there are many - 23andMe may be the best known chiefly because it is backed by both Google and the Facebook billionaire Yuri Milner. The firm is also run by Anne Wojcicki, the wife of Google founder Sergey Brin, although they are now separated. Wojcicki, 23andMe's CEO and co-founder, said: “This is a major milestone for our company and for consumers who want direct access to genetic testing. The firm received a warning from the FDA in 2013 over its DNA testing kit as it was selling the product without approval from the US regulator. Given this, the firm had to pull its health testing kit from the US, but today is a vindication of its efforts to get the kit to market. The kit was recently approved in the UK by the MHRA, although a number of doctors' organisations questioned whether patients should be testing for diseases such as cancer without a medical professional. Will gene therapies finally be commercially viable to pharma? 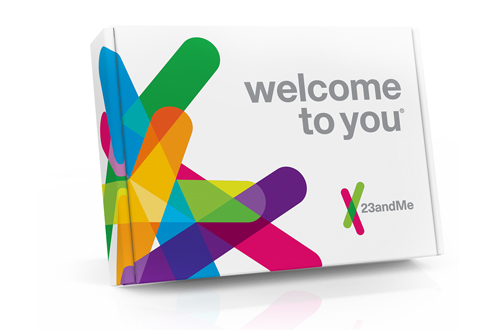 23andMe – is DNA screening ethical?